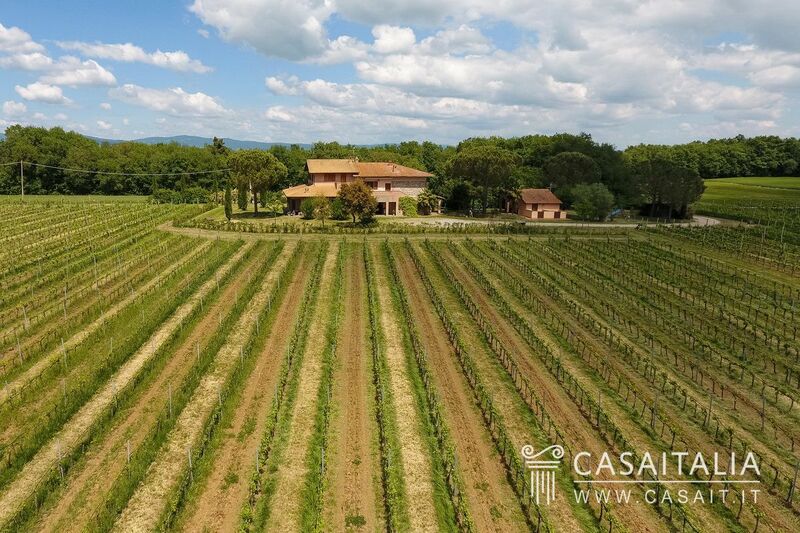 La Vignaiola is situated along the Wine Trail in the Trasimeno hills, in Umbria and just a few kilometres from the border with Tuscany. 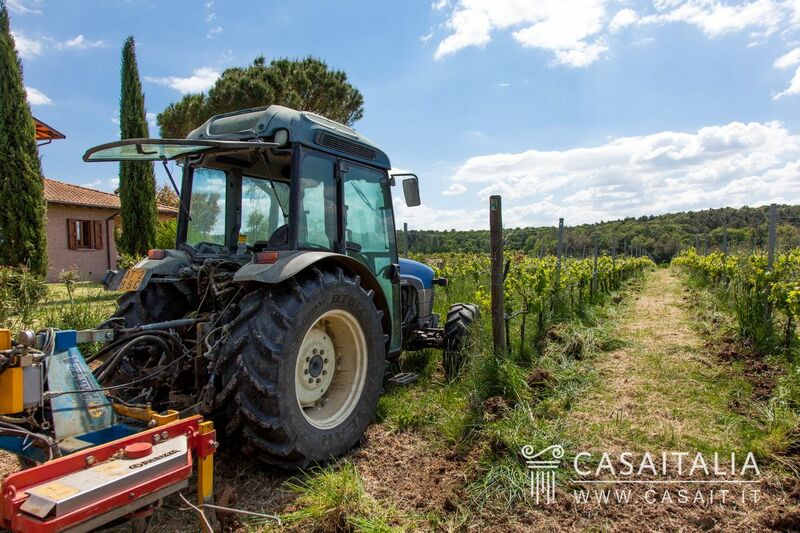 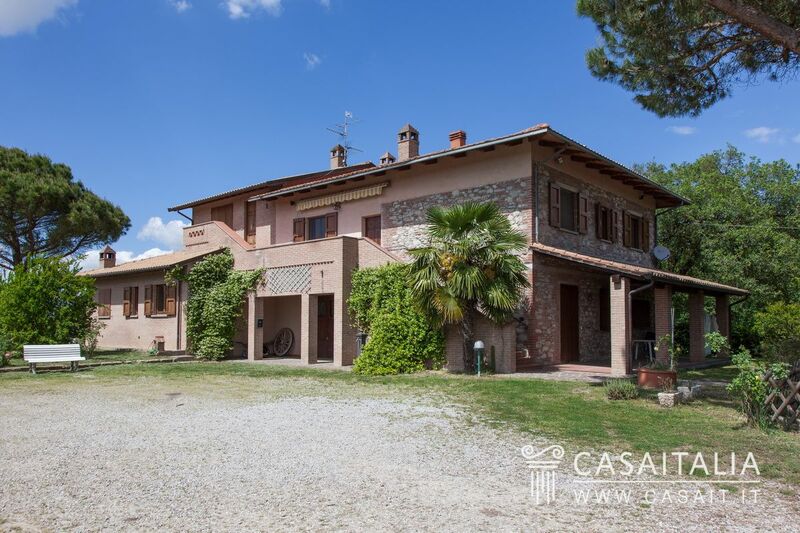 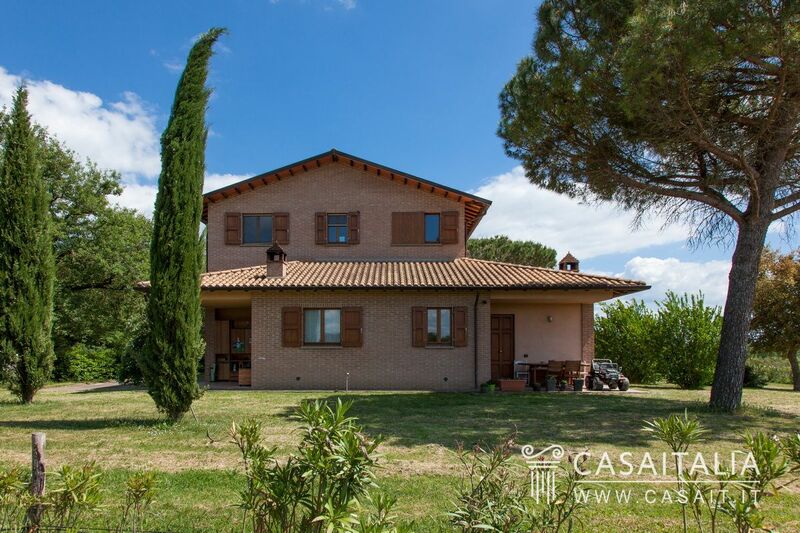 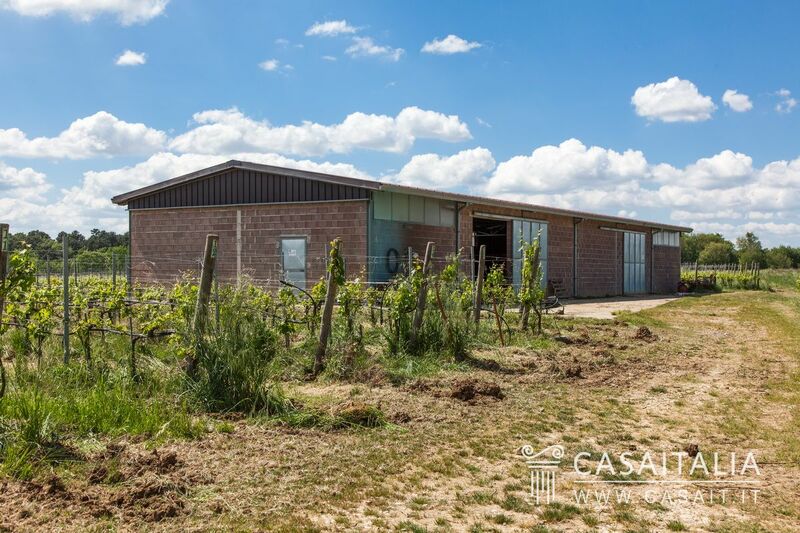 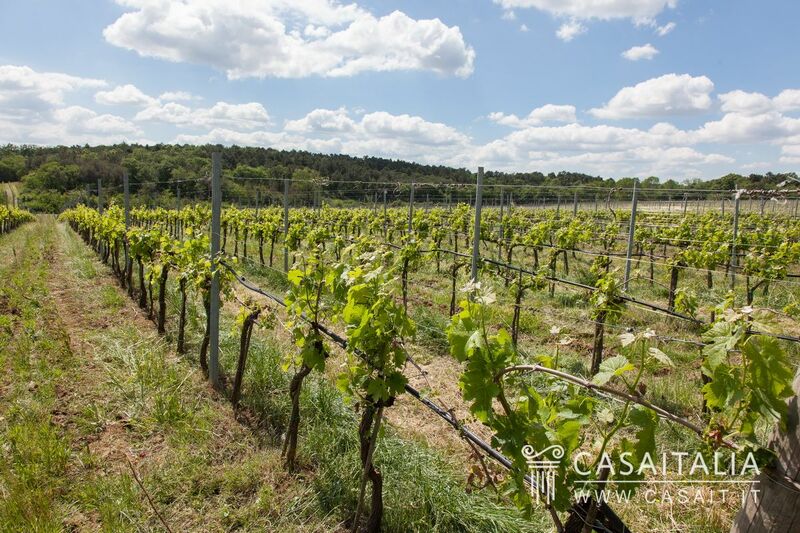 This agricultural business comprises over 17 hectares of land, 13 of which is vineyard, main villa split into separate apartments, cellar, outbuilding and a large storage unit for agricultural machinery and equipment. 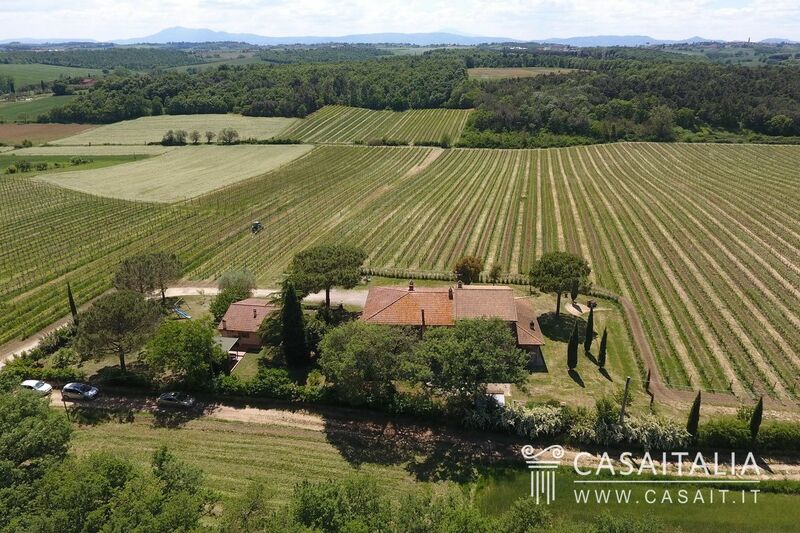 Perugia, a cultural centre and university city, is just half an hour’s drive away (42 km), as are some of Tuscany’s most picturesque historic centres such as Cortona (20 km), Montepulciano, (22 km) and Chianciano Terme (26 km). 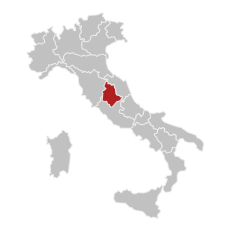 The Perugia-Bettolle motorway junction is just 8 km away and makes it possible to reach Florence (117 km) in less than an hour and a half and Rome (174 km) in less than two hours. The nearest airports are Perugia, around 55 km away and Florence, 132 km. 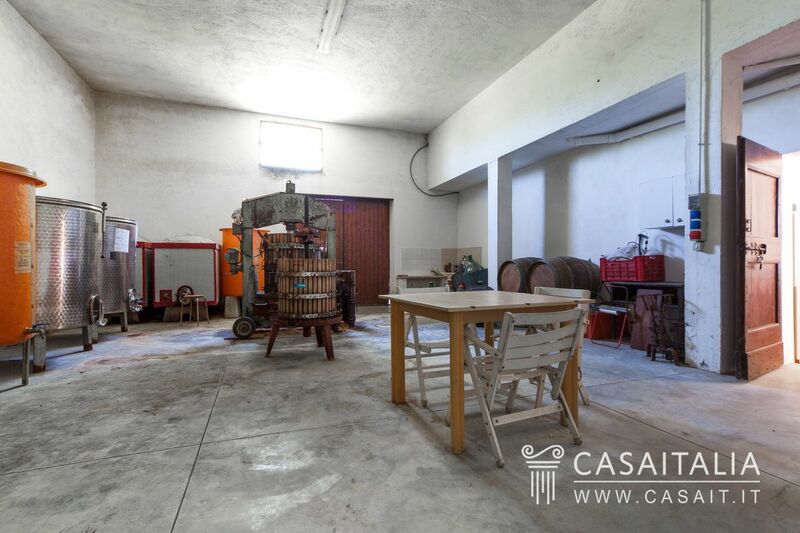 The La Vignaiola winemaking business comprises the villa (437 sq.m in total, separated into 4 apartments each with their own entrance, an area used for the sale of the farm’s produce and a cellar, an outbuilding (63 sq.m in total), the large storage unit for agricultural machinery and equipment (312 sq.m in total) and over 17 hectares of land, 13 of which is DOC vineyard. 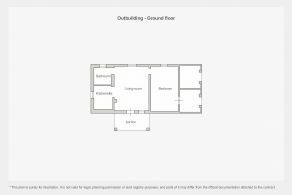 Comprising two floors, with separate entrances. 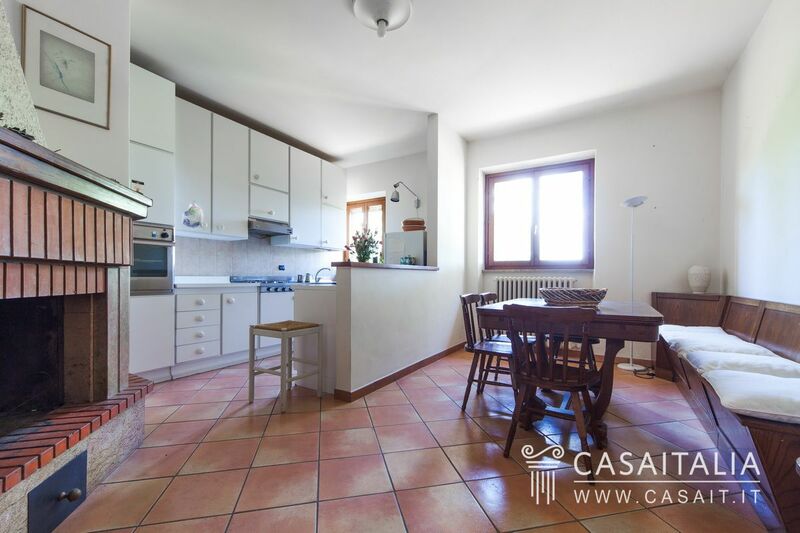 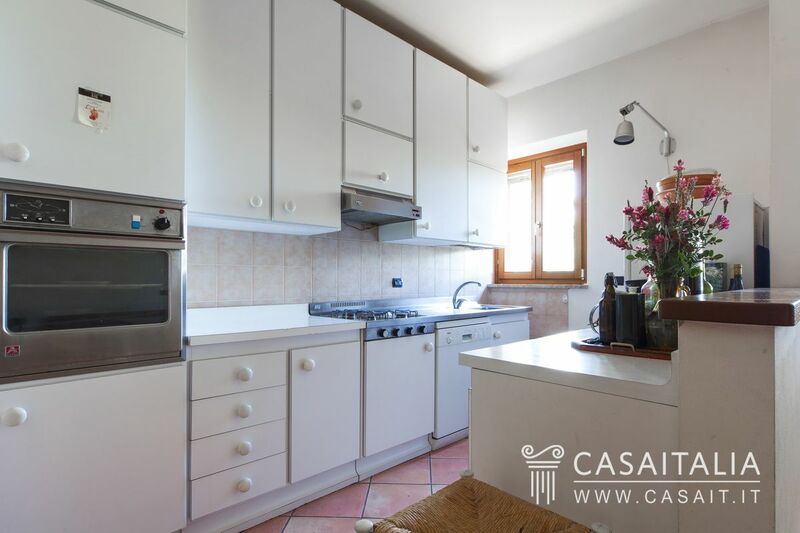 - the other apartment comprises living room, kitchen/dining area, two bedrooms and two bathrooms. 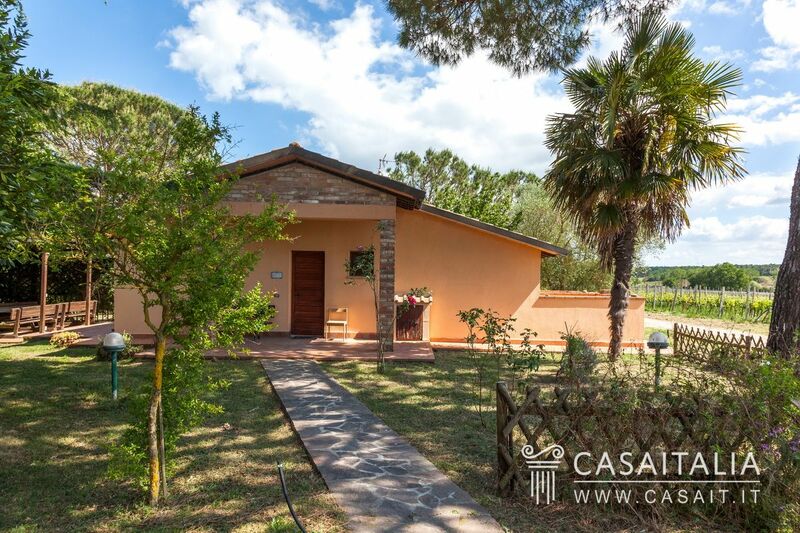 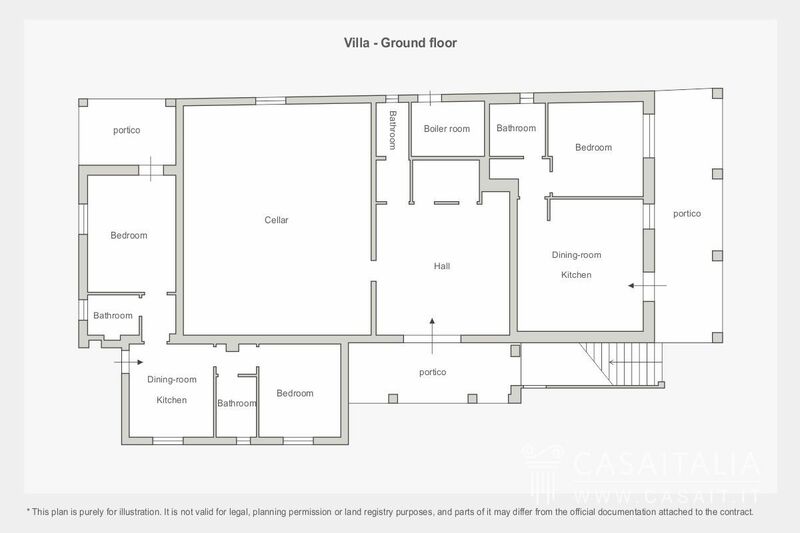 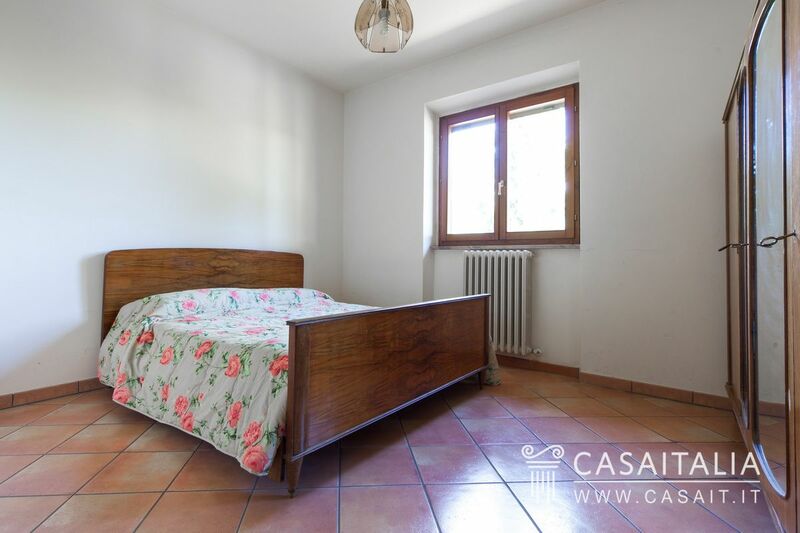 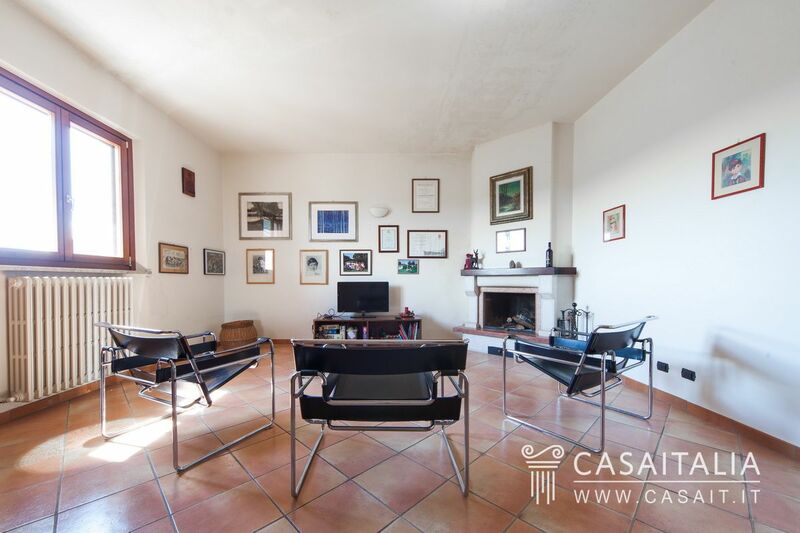 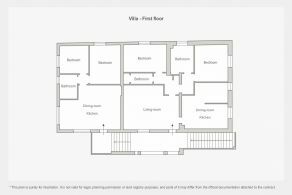 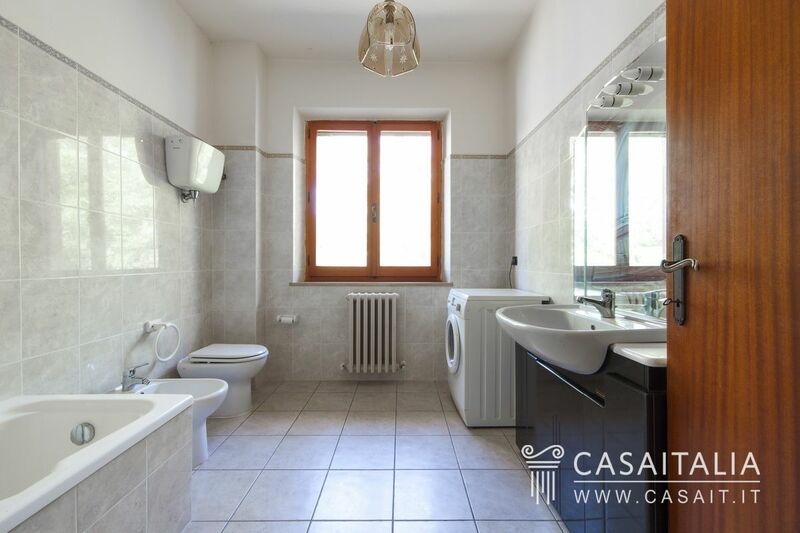 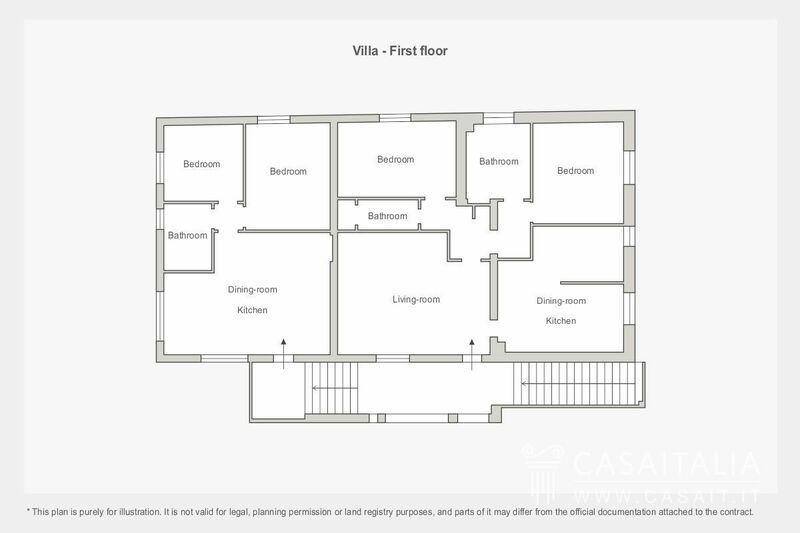 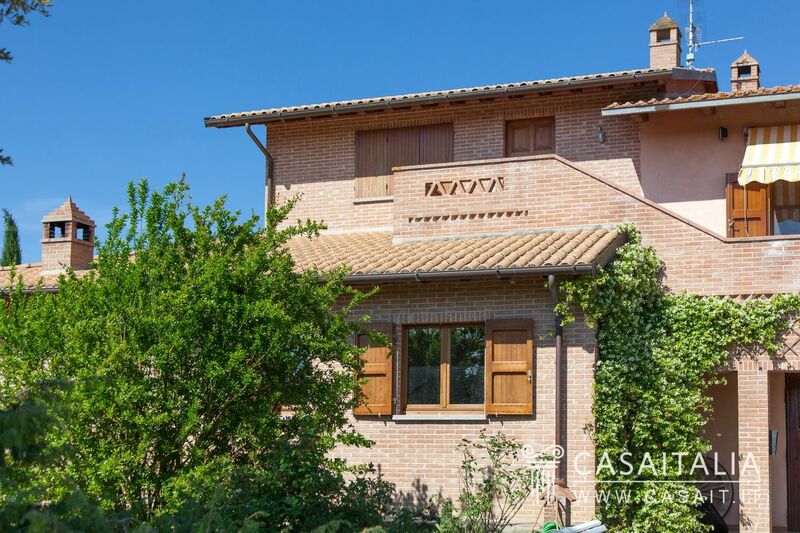 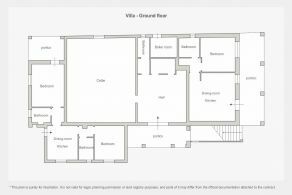 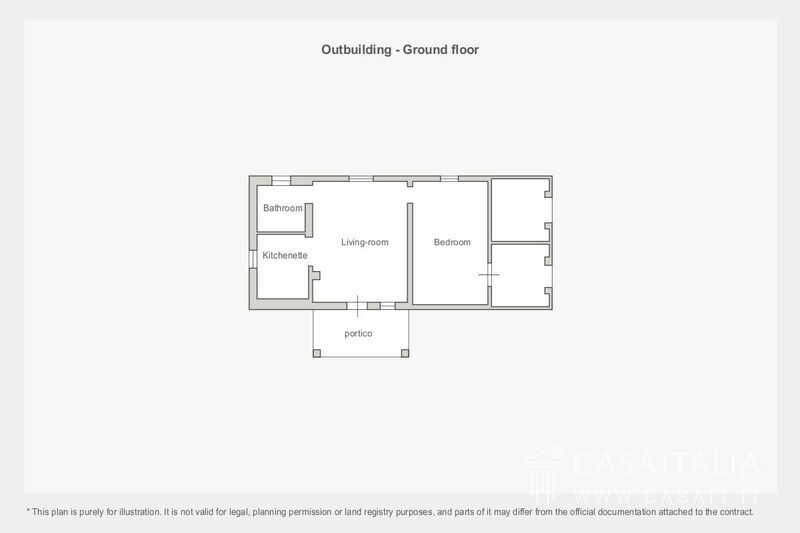 The outbuilding is a small, separate building, near to the villa, with living room, kitchenette, bedroom, bathroom, small porch and two utility areas. 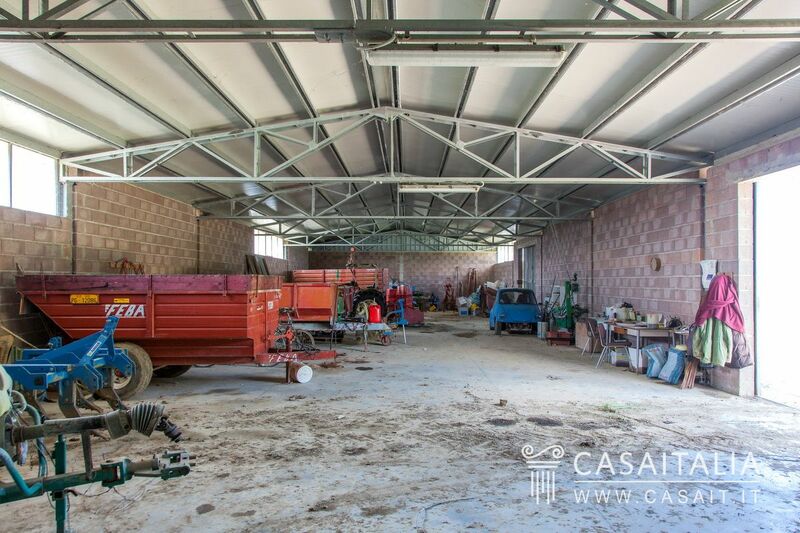 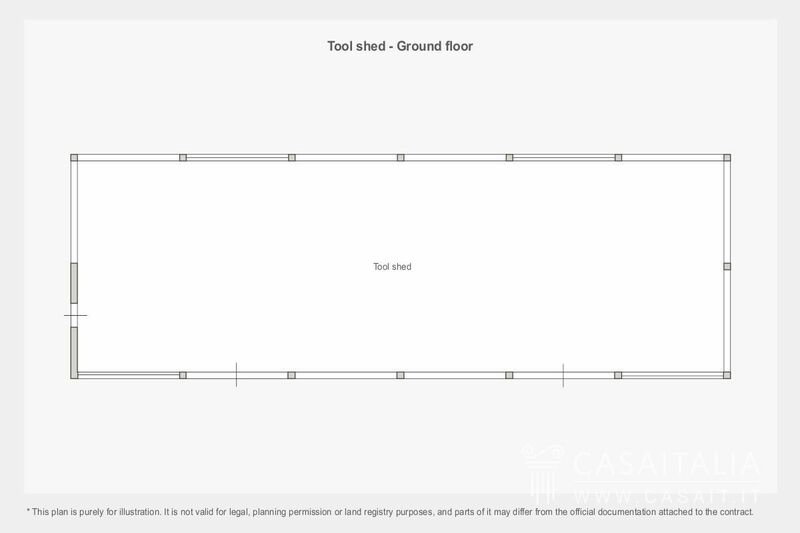 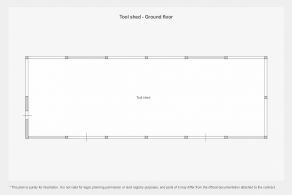 Finally, the property includes a large storage unit for agricultural machinery and equipment, measuring around 213 sq.m in total. The buildings are in good condition and could be used immediately for the purposes of the business. 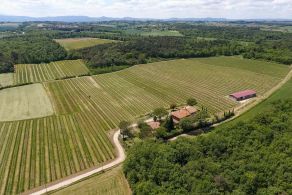 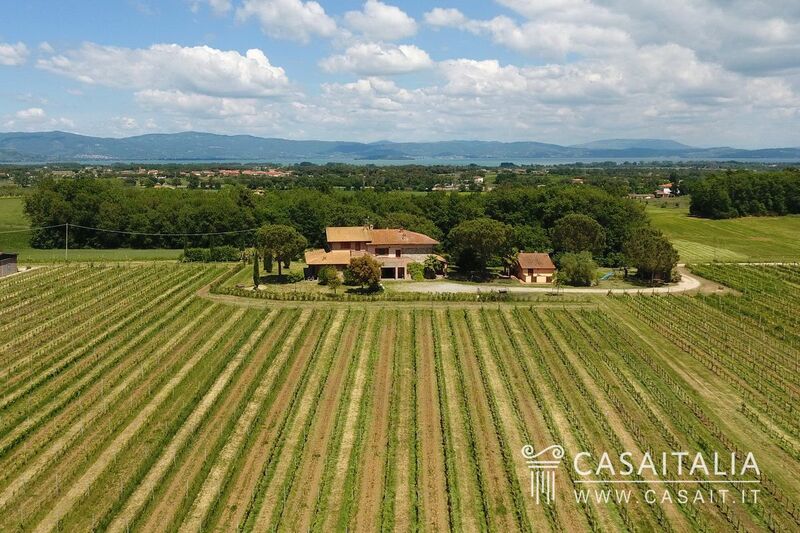 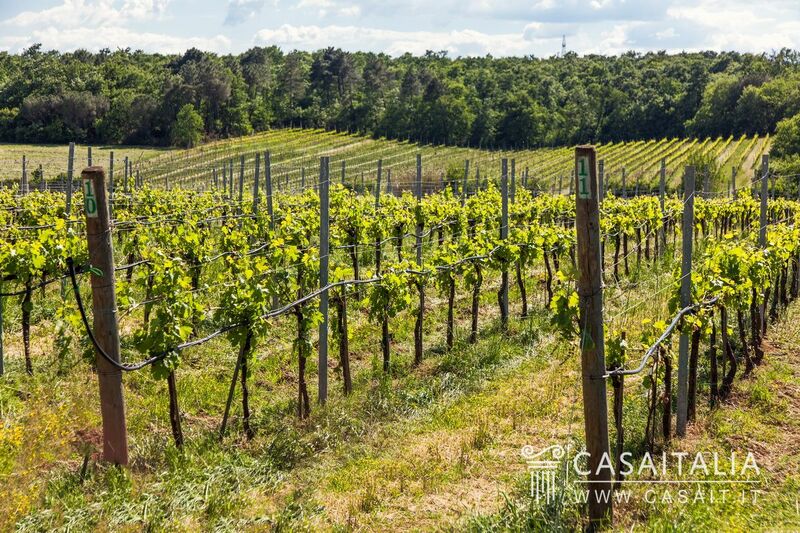 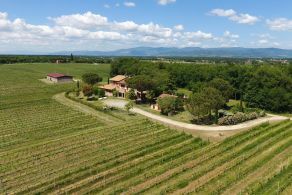 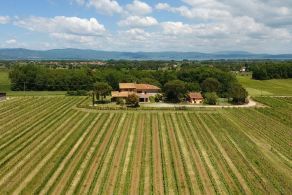 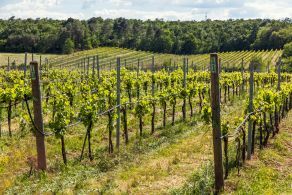 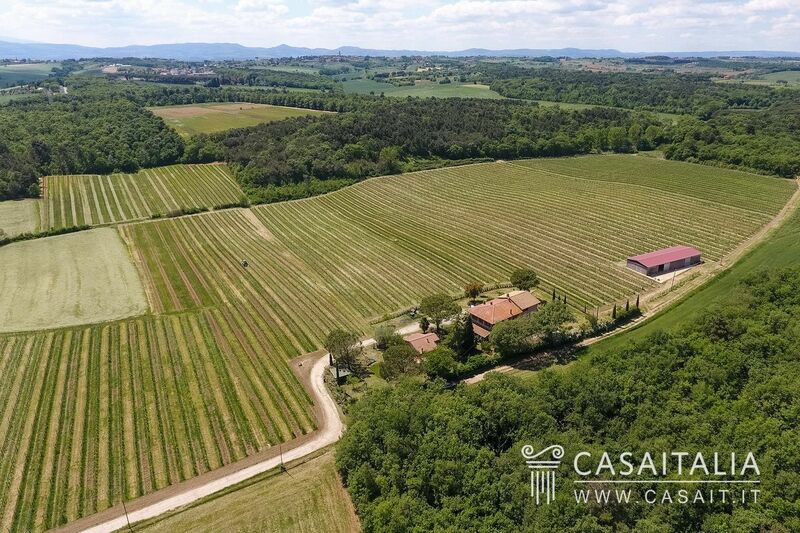 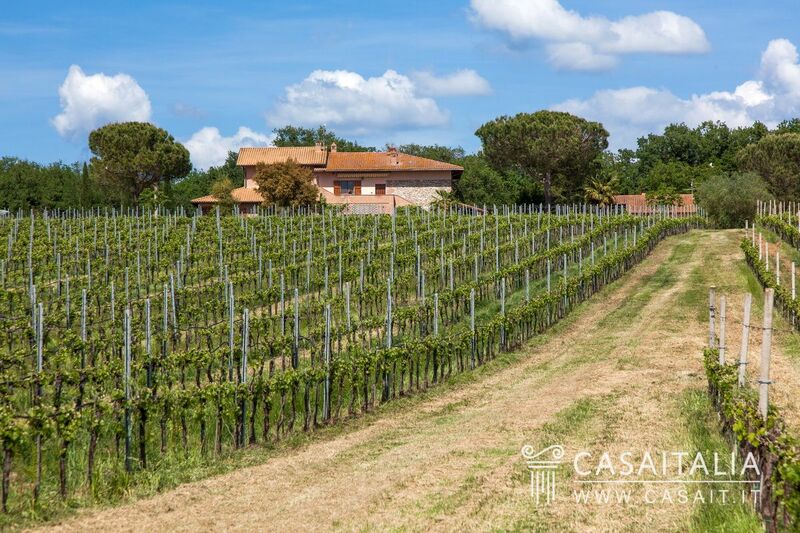 The land is this property’s real selling point: over 17 hectares, of which 13 is DOC vineyard with Merlot, Sangiovese, Sagrantino, Syrah, Trebbiano, Gamay Perugino and Grechetto grapes. 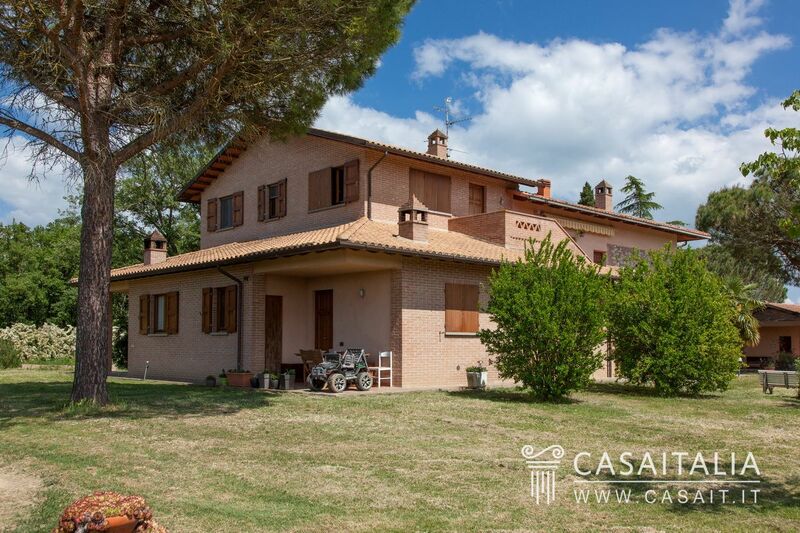 In the area around the villa and the outbuilding there is also a large garden where it would be possible to build a swimming pool with the proper authorisation. 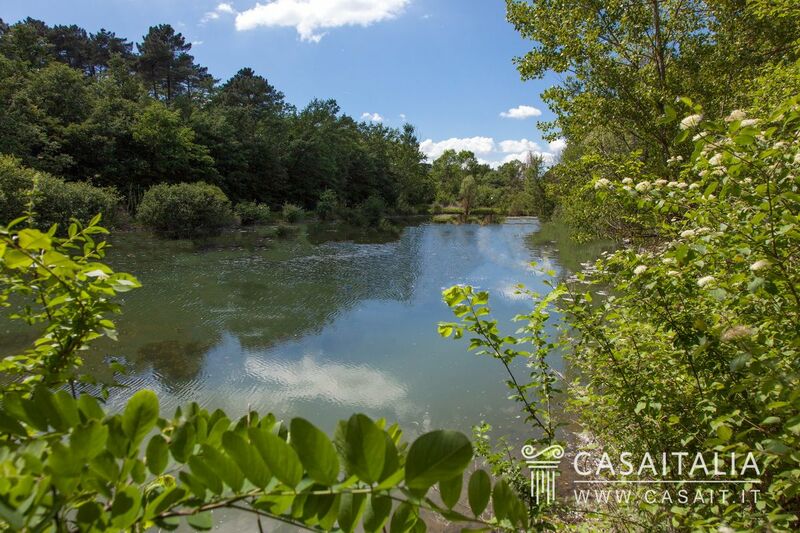 There are also four useful wells, and two little lakes for the collection of rainwater. 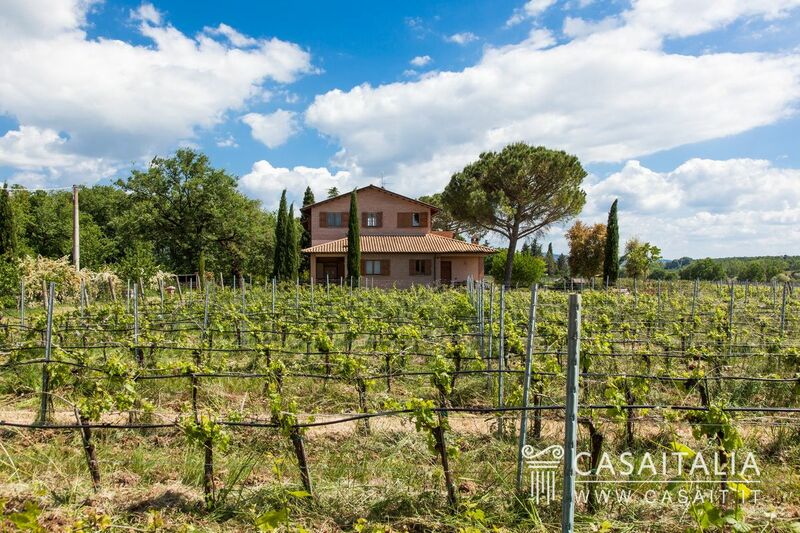 La Vignaiola is the ideal property for those who have always dreamed of living in one of Italy’s best-loved areas, between Umbria and Tuscany, producing good wine and running a small tourism business. 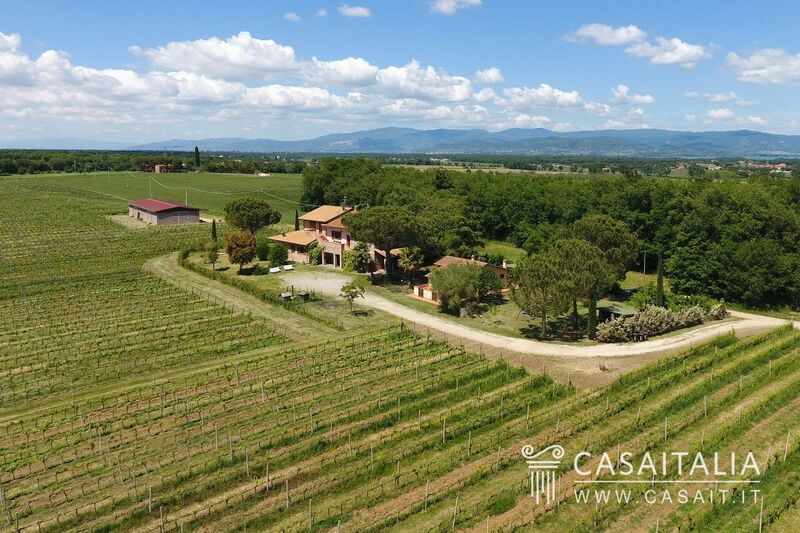 The location is fantastic, on the famous Wine Trail, just 5 minutes from Lake Trasimeno and a perfect starting point for day trips and excursions to Central Italy’s main tourist destinations.